Exclusive Links Real Estate is pleased to present this villa located half way up the frond on the sought after Palm Jumeirah with outstanding views of the Atlantis. The ground floor comprises a large modern kitchen and two separate dining areas overlooking the beautifully landscaped garden and swimming pool. This villa is an evening number which enjoys the beautiful Dubai sunset overlooking the Atlantis Hotel. The master bedroom is located on the first floor which has been extended along with the four remaining bedrooms in this villa. 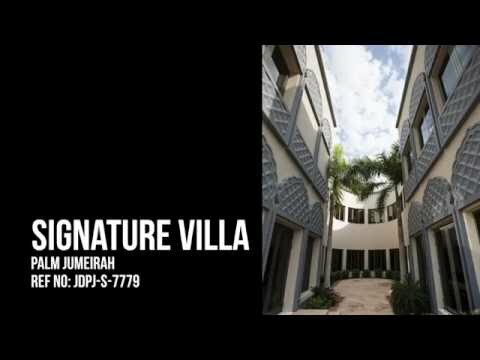 This architecturally inspiring Signature Villa sits on a plot size of 14,000 sq.ft and is the most popular style due to its fantastic open layout and has been extended to a BUA of 8,000 sq ft with one owner only since completion. The villa is arranged over two floors and boasts six bedrooms finished with beautiful interiors, high ceilings and large windows that fill the home with natural light.